successfully at Mile Four Catholic Hospital, Abakaliki. When New Telegraph visited the hospital at the weekend, the woman was said to be in stable condition but unable to speak but spoke to the husband, Chidubem Nwigboji, who was full of joy. and had also been facing pressures from his parents and friends who had been pushing him to marry another wife which he refused. His words: “We married since 2011 which after my wife suffered fibroid same year of the marriage. So, she underwent an operation and we began to wait for the fruit of the womb. “Last year my wife told me that she was noticing a sign of pregnancy which I told her to wait, not until four months when I told her to go for ultra- sound. The report of the ultra-sound showed twins. He called on couples, who are yet to bear children, to trust in God. go for an option of another wife and I promised God that I will not do that. “Today, God has blessed me with all these babies at once and I am very grateful for what He has done. 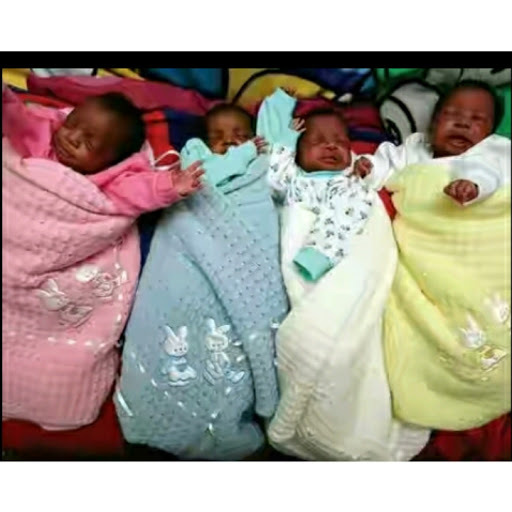 Although I don’t have money; but looking at these babies, I’m fulfilled,” he said.